Our mission is to provide the best coverage at a competitive rate with superior service to policyholders while remaining a financially strong company. Nearly one million Minnesotans come to count on the security and protection township mutual insurance brings. They depend on their township mutual to protect their homes, their farms, and their personal property. Farm and home owners, whether large or small, turn to their local township mutual to protect their interests. All of this grew out of a basic concept of people pitching in to help each other when disaster struck. People helping people. 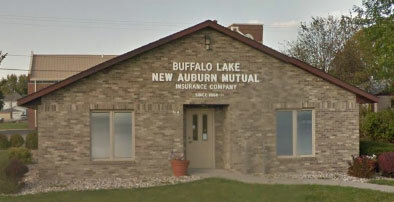 It's an idea as old as civilization itself and it's the concept behind Buffalo Lake-New Auburn Mutual Insurance Company. The high cost of heating fuel has resulted in people looking for alternative heating sources. Are you considering installing a wood, corn or pellet burning stove, or do you already have one? Our inspection program is designed to help reduce potential fires from these types of installations. By contacting Buffalo Lake-New Auburn Mutual Insurance Company prior to a new installation, we are able to discuss with you any problems that we may see and help prevent a serious fire or smoke loss to your property. If your installation is already in place, please contact us so we may look at it to determine if the installation is within the acceptable range for clearances and to check for proper chimney types.